Happy toddlers don’t just happen…they’re molded by parents who care! 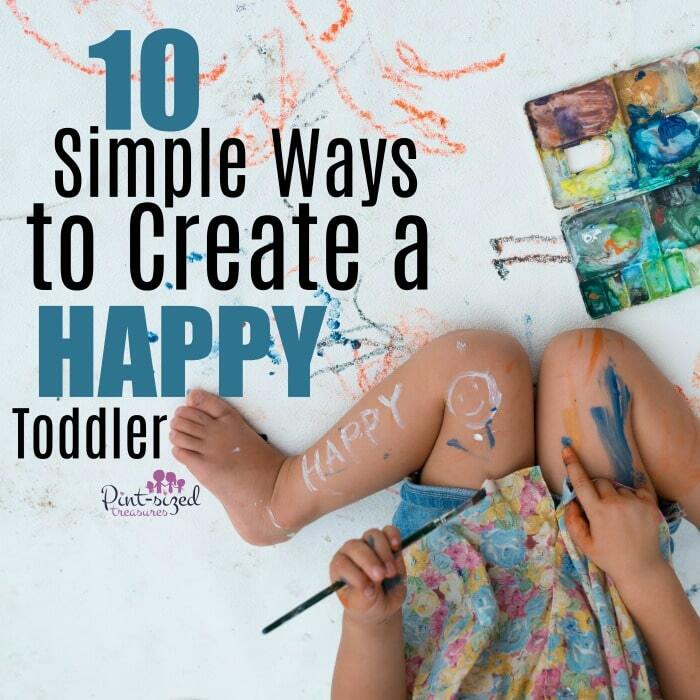 Bubbling giggles, chubby feet and colorful facial expressions all make-up a happy toddler! It thrills my soul to see a content, obviously well-loved toddlers, explore their new world. But some toddlers don’t enjoy the blessings of a home that’s filled with encouraging words, bundles of hugs and wheelbarrels full of kisses. Instead, they face daily criticism and harshness. Have you ever heard a mother or father yell “Shut-up!” to their toddler? I absolutely shutter and my teeth clench when I hear those anger-filled words. Instead of tearing toddlers down, we should be encouraging them! Our focus should be creating happy toddlers — not creating sad, frustrated, misunderstood toddlers! Sometimes it is crazy-easy to snap at toddler because you’re trying to get other work done and they interrupt you once again. The requests seem to never end! Adult life is full off responsibilities and somehow we have to find the right balance between work and creating a happy toddler! Sometimes it helps to just have a handy-dandy, bullet-point list to remind us to do the little things that matter in our toddler’s life — every single day. And here’s a little secret I’ve learned from teaching toddlers and raising my own kids. Lean in closely because it’s a good one. If I give my toddler a good chunk of my undivided attention before I begin a project or housework, she’s less likely to feel shunned or neglected. That tip is pure gold. Give a good chunk — morning chunks seem to be the best — of your time to your toddler and you’ll see more contentment, kindness and peace so you can complete other life duties without arguments. Just try it. I dare you! We also have an entire article titled Help! My Toddler Won’t Let me Clean! if you struggle in that specific area! Yes,we needed an entire post for that one! 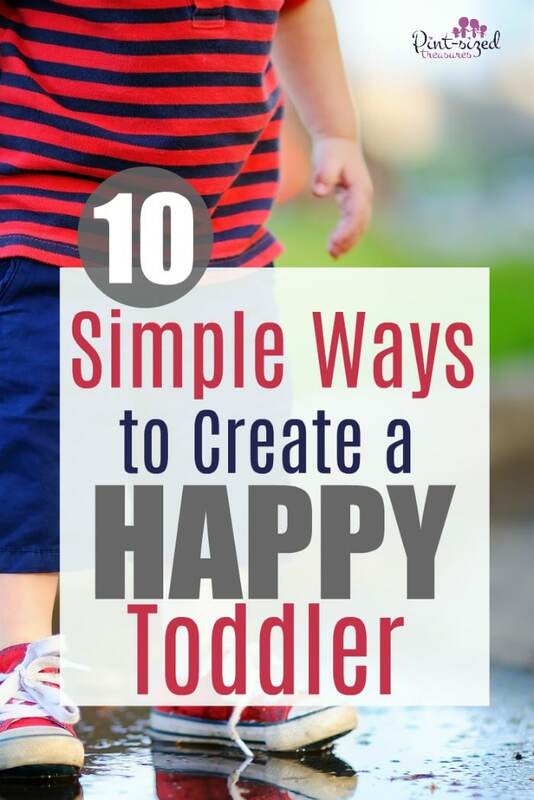 Now, on to the simple ways you can create happy toddlers! 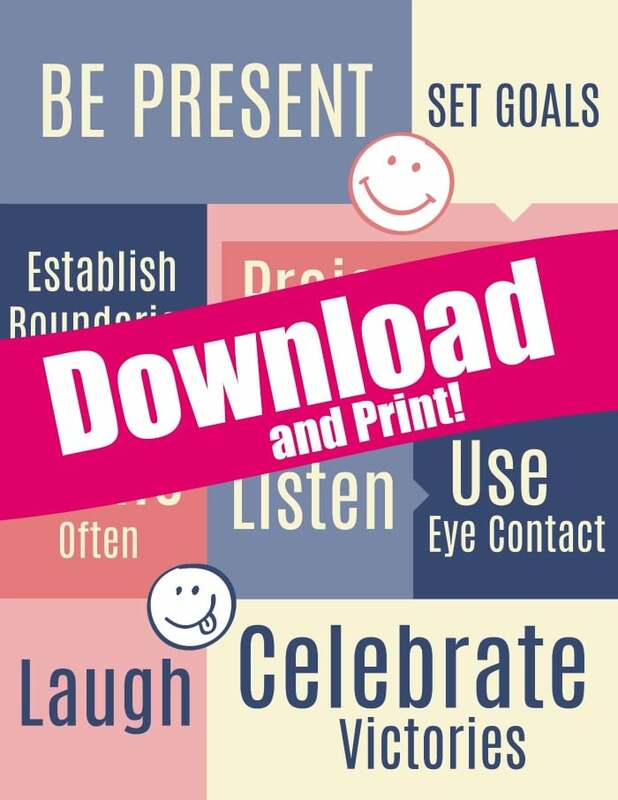 Be present in your toddler’s life. Don’t push your munchkin away when you are answering an email. Instead take a few moments and address her needs or wants. Take time to play with your toddler every day. 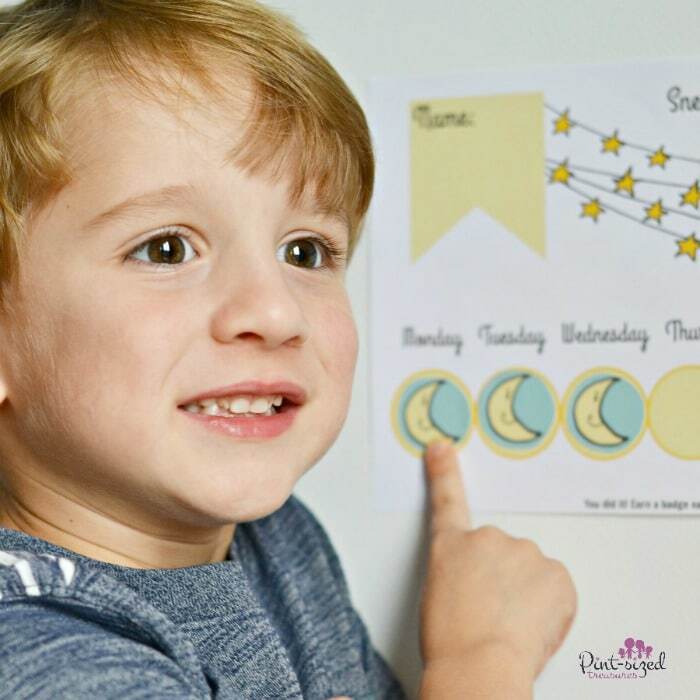 Make tents together, color pictures, go on walks, bake together, try these simple toddler activities or whatever your child enjoys doing — do it! My youngest child enjoys swinging on our large patio swing. I try to make a “date” with him everyday for this special time. We are making memories! Set goals. Are you making dinner soon? Ask your toddler to help set the table. Do you clean your room in the morning? Ask your little one to help you make your bed. By giving toddlers responsibilities you are letting them know they have an important place in the family. When a child successfully completes a goal, like chores, he begins to develop security and an “I can do it!” attitude. It is my three-year-old son’s task to open the door for visitors after they leave our home. He enjoys it so much! When he runs back to us, he always has an upbeat spirit and can’t wait to help out in another area! Establish boundaries. Definite boundaries help a child understand what is acceptable in your home and what is not. If she does not know the rules, she can become paranoid and insecure of messing up. Make your rules reasonable and make sure you stick to them! If rules are not enforced, they are worthless. Pick up your toys after you play. By establishing clear boundaries, you are promoting even more security for your toddler! Praise often. Criticism and negativity comes from everywhere in the outside world. Create a haven in your home by praising your toddler for jobs well-done, good attitudes or any positive characteristics you observe. Praising a child always adds extra dashes of happiness to the soul! Use eye contact. When praising or correcting, get down on your toddler’s eye level and speak one-on-one together. You are letting him know she is the focus of your thoughts and energy. When he asks for a drink, squat down and ask him if he want juice or milk. Take these special short conversations to interact with your child in order to build his confidence in your unbiased love. Smile often. It’s so easy to lose our smile when we’re busy in daily tasks and life, isn’t it? But a toddler finds much happiness in seeing a smile on mom’s face. When a toddler sees that smile, the entire world seems like a peaceful, happy place…and the toddler knows that mom really does love and care for him! Our face speaks a thousand words! Listen. Nothing says, “You don’t really matter,” like someone not listening to what you are saying. When your toddler gets excited about something and wants to show and tell you about this new discovery, really listen and pay attention. Comment on their discovery. Don’t just say, “Uh…yeah. That’s neat. Now, go and play!” Your toddler knows when you’re really listening and when you’re just trying to shoo her away. Laugh!. Go ahead, let your hair down and be super silly with your toddler. Sing silly songs with them, talk in funny voices — anything to get a smile or laugh from your kiddos. Adding some silliness and fun to your toddler’s day is the perfect way to build them up! Celebrate victories! Did your toddler finally get the potty-training deal?! :) Did your toddler learn to successfully and routinely nap?! Those are HUGE milestones and should be celebrated! Celebrate with just an ice cream cone, a trip to the park or some stickers! Keep it simple so it’s always convenient to celebrate a new milestone in your munchkin’s life. 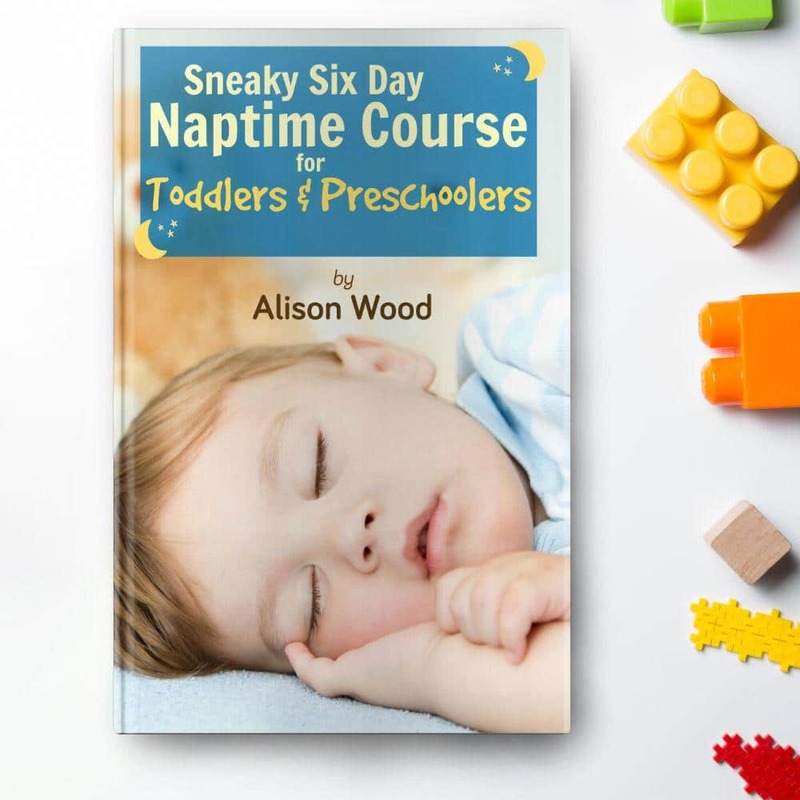 If your toddler is struggling with napping successfully, we have an awesome super-loaded course for that! Yay for a toddler naps ,right?! It’s packed with all the details about our successful strategy that encourages little ones to love naptime and routinely nap. Resting is a crazy-important life skill that kids should learn! 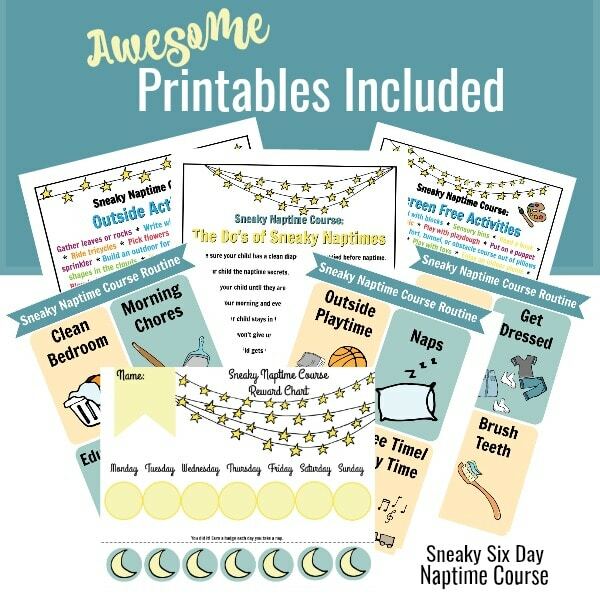 We also offer you loads of printables to keep napping a priority — and make it fun! Check out more details on toddlers, naps and our new course here! Hope it’s a huge help to your toddler! Give one-on-one attention. 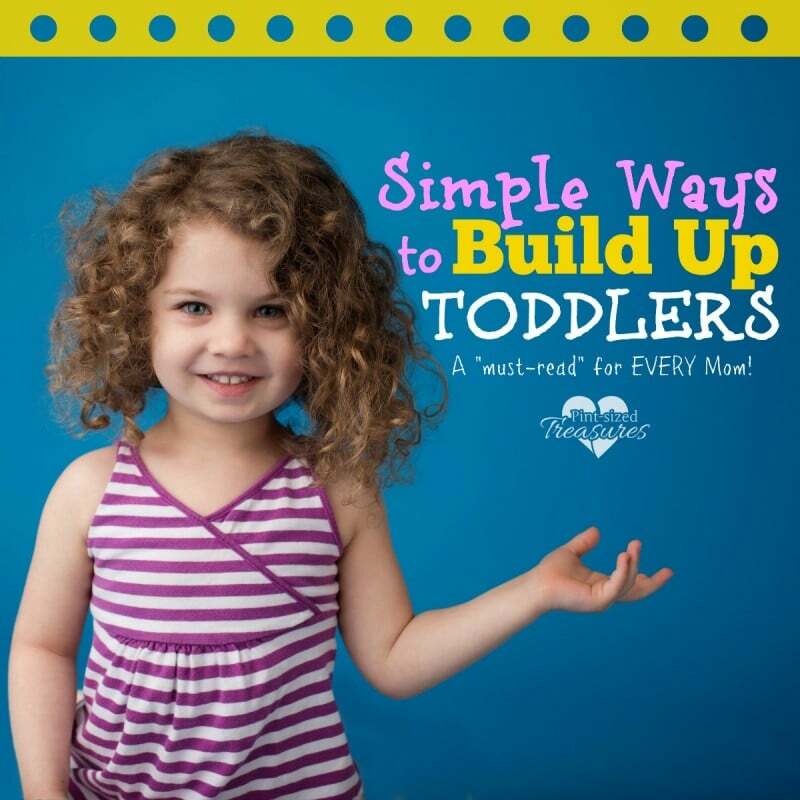 Even if you have a busy schedule or a house full of kids, make time for your toddler! Here’s a simple tip I learned that helps me squeeze one-on-one time in with each of our six kids! Your kids will LOVE this idea! Stop complaining about the toddler years. Your toddler is soaking everything in — including your negative body language and verbal criticism of the “terrible twos” or “tiny tyrants.” Keep your thoughts, comments and attitude about raising a toddler positive! There’s enough negativity in this world ( we chat about that in our narcissistic parent post), add a splash or two of positivity! Keep taking time to let your toddler know she matters, she’s unique and she’s special. Soon those chubby feet will be kicking soccer and footballs at their middle-school games. The love and attention you impart to them now will help your parent-child relationship in the future as they begin to become more independent. 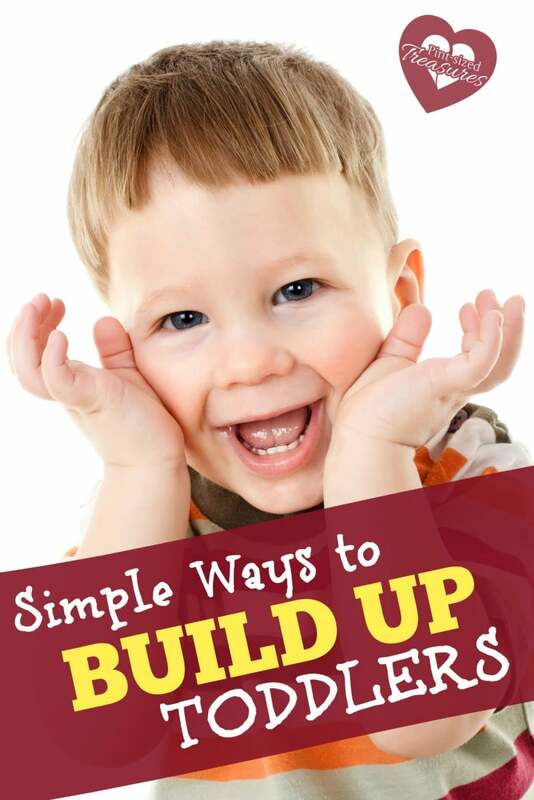 Prepare your toddlers for a more secure future as you create happiness in their lives today.